Ever thought, How many vowels are present in award winning successful website names? How are these websites named? Of-course if you think about it, the answer seems pretty clear at first. When you name a website, it has to have enough letters to make a meaningful yet logical impression on the viewer's mind. However, a name that is long taxes the memory of the viewer and it is unlikely you'll see him visiting your website anytime soon, if you have a website name such as, "cuteandfunnywebsitenames"
But if you have a website name that is a single syllable or contains negligible characters, it would fail to register on the memory of the viewer. Another reason why website names with the least number of characters are uncommon and hard to use is because, they're expensive. 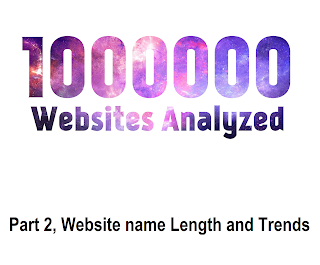 A study on the length of website names can be found at one of our previous articles on number of characters in website names for top million websites. But what about the number of vowels? Is there a thumb rule for how many vowels should a website name contain? A larger number of vowels would entail a larger number of syllables. 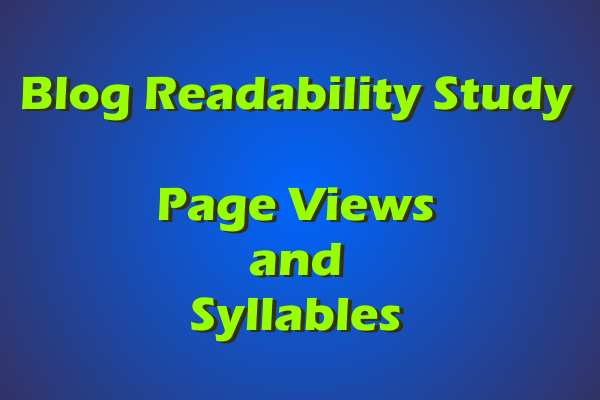 And as seen from one of our previous articles on the relation between page views and syllables (An Experiment on readability), that a larger number of syllables mean a higher degree of complexity in the word itself. So larger number of vowels are not good. But what about lesser number of vowels? Words like ted, bed, cup etc seem like a good choice considering a single vowel and a memorable word. The problem with words containing lesser number of vowels is that the words created from them are often too memorable. Which often triggers too many memories and associations in your brain leading to a hazy link between the website name and the content that you viewed. Also vowels are often associated with moods too. For example, the vowel 'i' is often associated with a happy mood. You can find more about the vowels and the moods they elicit at Dailymail or you could try how brands name themselves. while both extremes are not good, Let us find what do the top million websites do. As is evident from the graph below, all websites have an average of 3-4 vowels in their names. The top 100k even have an average of 3.2. This average further moves towards 4 letters when we move towards the higher end of the million. Though higher number of vowels in website names aren't good, the lower number of vowels also pose a certain risk to the website image. As per the analysis, codemakit recommends 3-4 vowels in your website name. 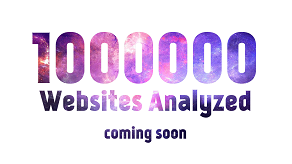 1 Billion Websites! That is the number of indexed websites that exist on the internet, as per the estimations of dazeinfo and Dailymail. New websites are constantly being added. What is surprising is that the top million often remains unchanged. Alexa provides data for the top 1 million best performing websites of the world. But, is there something other than amazing content, Beautiful fonts or super intelligent color combinations that pull users towards websites or is it something entirely unrelated? What about the size of the website name. 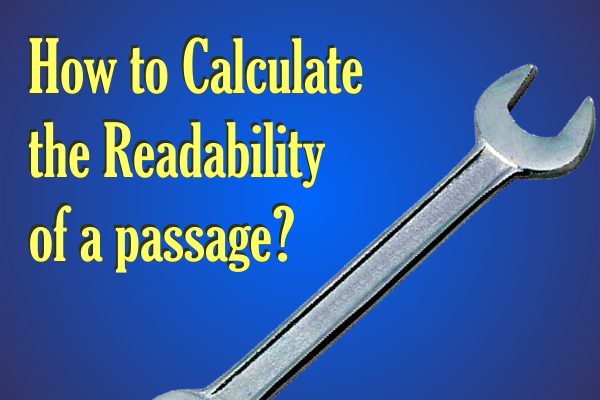 It is a common knowledge that users often dread typing in long lines of text in the address bar. Many would argue, that with the advent of "Search from the bar" type of browsers, users need not type-in the complete url anymore. However, a longer website name might strain the memory. The Garage at godady.com shared a few tips for fishing the perfect domain name. According to them, the first and the foremost condition one must remember is that a domain name must be really easy to type. You should also keep it simple, utilise keywords and avoid numbers. The top million out of a billion is 0.1%. So, let’s find out what does the data say about the top 0.1% of all websites in the world. For any URL of the format, ., the website name is most important, as it defines the website, makes it visible and gives it an identity. 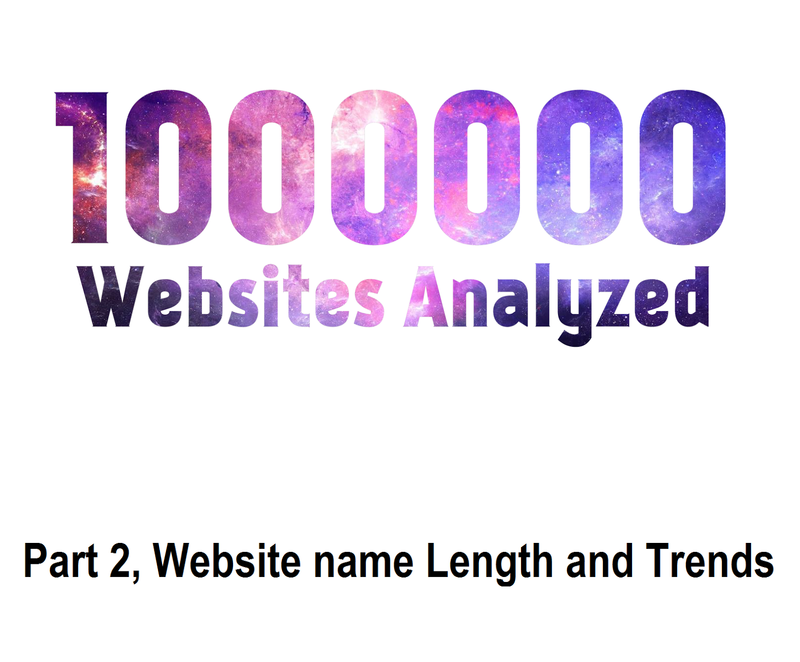 Lets find out what our analysis says about website name. 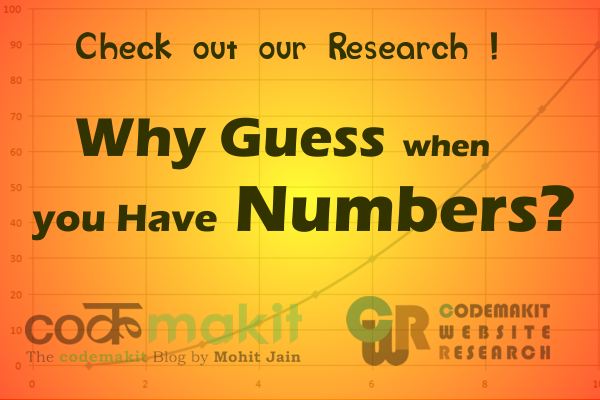 Firstly, It was found that the frequency of website followed a typical Gaussian curve while attaining the peak at around 7-8 letters. 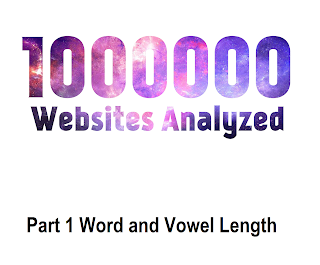 About 100,000 websites within the top million had a word length of 7-8 letters. It is also imperative to note that though we've reached the peak at 7-8 letters, there still exist websites that have lengths of more than 20 letters! Now, can you think of 20 letter English word? I tried and could find the word ABSTEMIOUSNESSES, (a 16 letter word). What is really, interesting is that, a website with a name longer than most can imagine still features among the top million in the world. Another interesting observation is that the number of vowels in websites too followed a Gaussian curve. 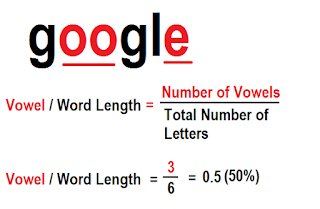 The most common number of vowels in a website name is 3. 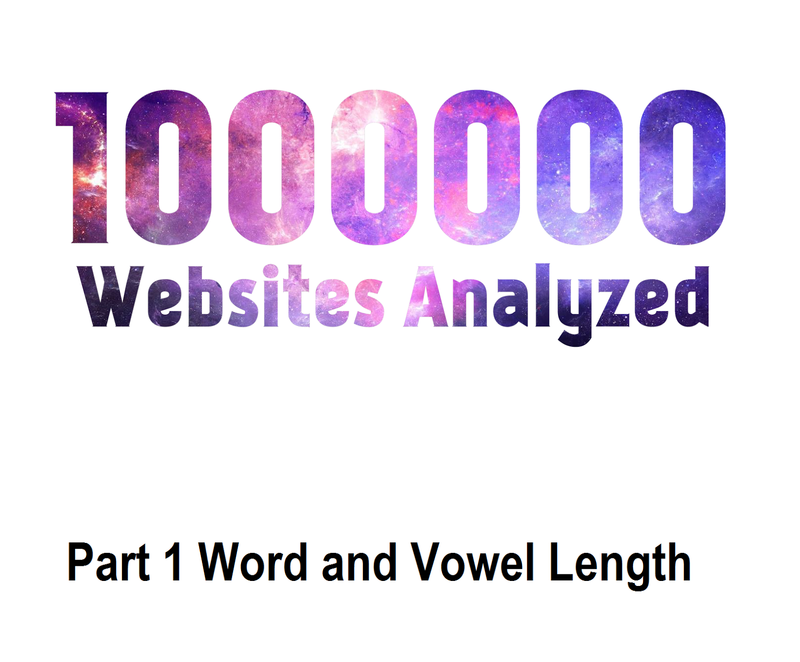 In the million websites, 10% of them had a single vowel. It is also worth mentioning that 36,000 websites do not even have a vowel. Of course, there are websites with more than 10 vowels in them, but nothing can be said without comparing the total length of such names. So, to understand the data better, we divide the number of vowels with the total number of letters in the word. Since, analysis of such huge data set is difficult, we would divide the complete vowel data into bands of 0.2 or 20% each. 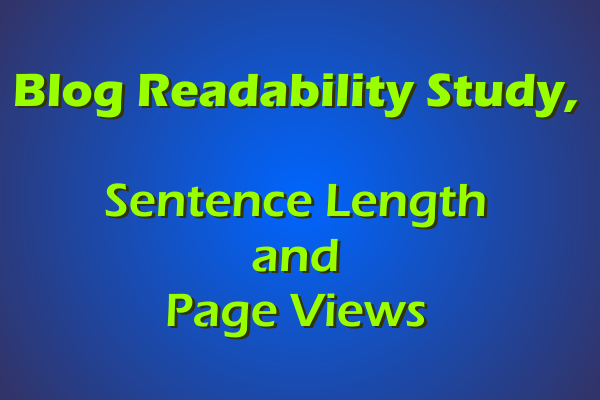 One look at Vowel percentage and website frequency data would tell us that for most websites, 40 percent of the word length is a vowel and 60% is a consonant. Moving towards the exceptions, more than 500 websites in our data-set contains 80-100 percent vowels. Also, as mentioned above, 36,000 websites do not have any vowels at all, i.e. 3.6%. Finally, around 90% of websites lie in the band of 0.2 to 0.6. Finally, You can still have an amazing website even when your website name does not have a vowel or is filled with vowels. This is an ongoing study on the change in perception of users to colors. An excellent infographic from kissmetrics and webscout implored for a change in color combinations on webpages to elicit certain responses from the viewers. To exemplify, red denotes energy and passion, however, yellow displays enthusiasm. So one can use such colors based on the visitor demographics you receive. 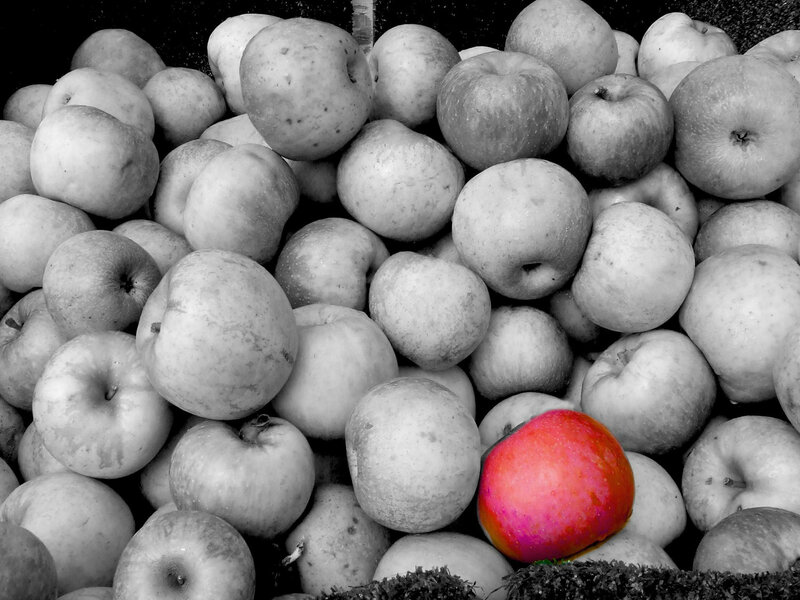 For websites catering to passionate readers, red or black could be the ideal color choice. You could utilize such colors on areas that require action such as "Buy Now" buttons or "Subscribe Now" Buttons. On the other hand, if you cater to a more refined and mature audience, the usage of extreme colors might actually hamper changes of conversion. E-commerce websites have been using such methods from time immemorial in the hopes of luring impulsive buyers. However, such a technique was attempted on codemakit.com itself when the banner color was changed. The banner color was initially an 8 bit variation of black itself. 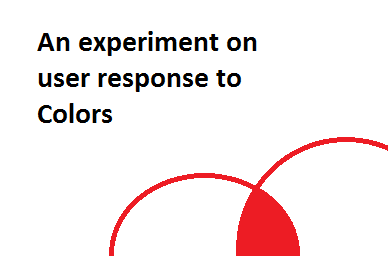 To include the above mentioned strategy, the banner color was changed to varients of red and blue. The modification in the color of the main banner was made on 18th of August 2015. Data analysed were for a month before the modification and a month after. Hence the data corresponds to number of sessions and the bounce rates for 60 days. As can be seen, there was mild increase in the number of sessions per day and a slight decrease in the bounce rate. You can read more about colors and how they affect websites from our previous articles. 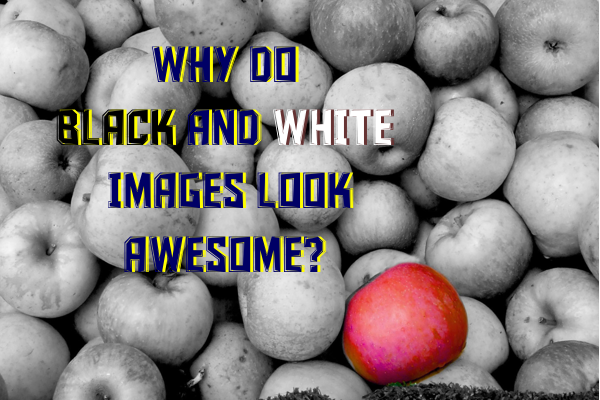 Find why do black and white colors look awesome? Interested about colors? Find how change in font colors can affect your reader mood? Why do Black and White images look awesome? In the world of filters I had often wondered why do black and white images look so cool. You would find them on website front pages, birthday cards, magazines and what not. But the mystery surrounding the human obsession about the binary colors seem unexplained at best. What is it in those colors that attracts us? Why do pictures in black and white look more beautiful than their colored counterparts? There are several reasons to begin with, Lets have a look at some of them. Images in black and white are so uncluttered, clear and devoid of unnecessary distractions. The crux of the image or the main focus becomes painfully obvious when seen in black and white. In colored images the said crux is easy to mix. This phenomenon can be extrapolated to explain why paintings with minimal colors are often the ones valued extraordinarily. Images in black and white are often used to help viewers see beyond the image itself. The patterns, textures and depth suddenly becomes obvious in a BW picture. Suddenly the curves, valleys and peaks become relevant and provide a new perspective to the image. We often attribute many of our emotions to the things we see around us. It is said that we subconsciously attribute our emotions to colors around us. For Example, red is often attributed to passions, green is attributed to envy, yellow with prosperity (or at least that is what we are led to believe in India). When looking at BW images, we are free of our individual biases and hence see the subject with much clarity. Though partially correct, there is more to the explanation given above than that seems on surface. When seeing a B/W image, we see what we want to and not what the photographer wanted us to. This leads to a much higher visual interaction than the brain planned on having with the image. This is what interests it and the image suddenly looks a lot beautiful because now it means something. To illustrate the idea further, let us consider an image of a fruit basket, when you look at it, your mind will immediately start filling the requisite colors in the image and piece together information from your past experiences to make the picture look whole again, this will inevitably lead to higher brain functioning than expected and thereby lead to a piqued interest altogether. Find which color would suit best for your website fonts. Techniques to find the right color or hue. And you can create your very own color palette. A place meant for the young and the smart. A place brimming with life experiences of students as they pass another great hurdle of life, an MBA. InsideIIM started as a blog which has now transformed into "The Management Education University of the future". Over the years, this website was one of the chosen few which actually made a difference in the lives of its readers. The funny thing is that its founders too strive towards the same. InsideIIM boasts of the best talent in the country and grows larger year after year. The major services provided by the website are content (Student Stories + Chat forum) and Placements & Recruitment. They have collaborated with several institutions and organisations to connect prospective students and employees with their dreams. Now without further ado, lets find out more about the website and the services from Ankit, one of the founders of InsideIIM. Mohit: I bet, your "What's worth reading?" posts are a real crowd puller. How much is the truth behind it and what importance do you give to similar posts which lead your readers towards external websites? Ankit: I don't know what you mean by truth but we are here to solve a problem for our users. Our users want curated quality content. Shreyas does it and we are happy to do it even if it send traffic to other sites. InsideIIM is a platform and our aim is to solve our users problem whichever way possible. What's worth reading is very popular and Shreyas Panse is a star. Mohit: Good to hear it Ankit, Currently, you have a lot of stories at insideiim.com with several of them written by your own authors. Do you ever feel the need to revise a previous article? Mohit: I once overheard a discussion at Quora which said, "InsideIIM covers only crème de la crème of B-Schools", do you strive and pride yourself at being an elitist website, or was it by an accident? Ankit: Over 80% of the content is user generated. There is no design to involve only the supposedly top ranked schools. But when we started we had to start with a limited set of schools. Today the platform is open to all business schools. Any student from any part of the world can write and we will publish. There is no intentional elitism. But the name became catchy so we stuck with it. 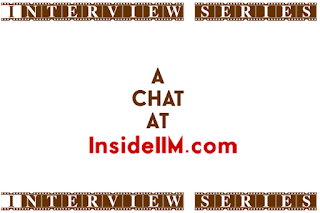 Mohit: For the sake of my readers we'll come to the business part, what is the revenue model of insideiim.com? OR How do you decide which revenue source to act upon? Ankit: Advertising and Recruitment. We help business school and universities reach out to too talent. We help companies recruit top talent. Currently we don't charge students or users anything. Mohit: Being an active part of many aspiring students' lives, How does it feel when students attribute their successes to insideiim.com? Ankit: We didn't make any money in the first 12 - 18 months. That's what kept us going and it still keeps us going. Mohit: With the ripples you're creating, I'm sure you affecting millions of lives indirectly. Thank you so much for your candid responses. We'll wrap-up here, but the readers can ask Ankit by commenting below. I'll make sure your questions reach InsideIIM. 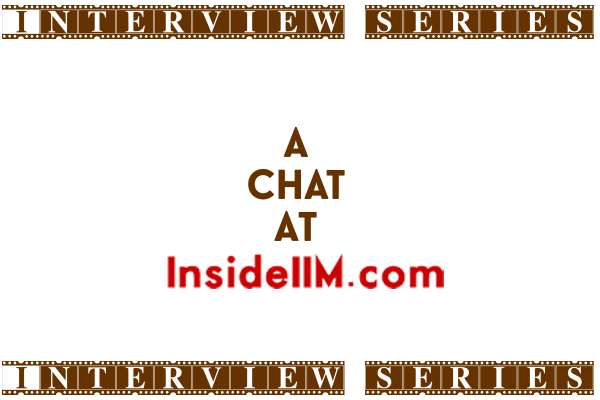 You can visit InsideIIM at their official website, their facebook page and twitter handle too. Note. The author is pleased to divulge that though the interaction with the founders for the interview went on for about 3 months, it was in a scheduled public chat forum when the author finally got a hold of Ankit. English Grammar is a vexing concept that comes into use at every turn in your digital life. It is here, you often encounter Grammar Nazis who would tear you limb to limb if you're found with a wrong grammar construct or a misspelled word. You just cannot afford the time and energy to check every comment and every blabber by copying and pasting it into Microsoft word, just to check for mistakes. It simply seems too much work. Introducing Grammarly, a service that can correct you anywhere, from typing in the hostile depths of social networks chained within 140 words, or replying to a racist comment at Facebook to mailing your boss about why you didn't submit the report. We have with us Allison VanNest, Director of Public Relations at Grammarly. She seems petrifying, but trust me, Allie is a really bright and considerate professional who agreed to take time out of her busy schedule to let us trouble her with our questions. Let me start with Grammarly first. It is a really efficient service that helps you write correct grammar in your everyday communications. The service works on several platforms and instantly points you towards an incorrect grammar construct or a misspelled word. You can then use it to provide correct alternatives to your incorrect sentence. Grammarly is renowned worldwide as the best grammar checker there is. It was founded in 2009 by two entrepreneurs. Brad Hoover the CEO holds the reins of the san fransico based web service giant. The service can chekc more than 250 different types of grammatical errors that users often make. The website boasts more than 3 million users as of 2015 and has an alexa rank of less than 4000. Grammarly has performed consistently well at its job and hence, won too many awards and accolades to even mention here. However in august 2013, Grammarly was ranked number 344 on Inc. magazine’s 32nd annual Inc. 500 list, an exclusive ranking of the nation’s fastest-growing private companies. It was also the finalist in the “Best Bootstrapped Startup” category in the 8th Annual Crunchies Awards in Feb 2015. Mohit: Tell us about the story of Grammarly, How did the idea take flight? Allie: Grammar rules can be confusing, and they are constantly evolving. Grammarly was founded in 2008 by Alex Shevchenko and Max Lytvyn, both English language learners, to instantly and accurately provide written writing assistance to the more than two billion native and non-native English language speakers worldwide. The automated proofreading tool provides an easy way for students, professionals, job seekers, and English language learners to become more accurate English language writers. Mohit: Online service based companies are often depicted as geeky heaven with chocolate fountains, free food to sleeping pods. 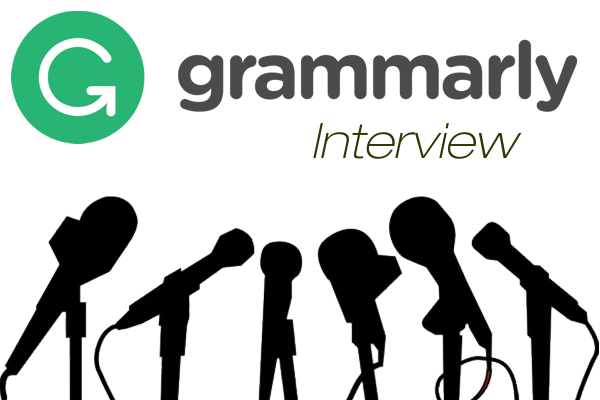 How is the work environment and culture at the offices of Grammarly? Ethical: Be honorable to earn trust. Do the right thing, even when no one is watching, without exception. Adaptable: Embrace change, and learn in order to evolve and succeed. Apply a positive, problem-solving attitude. Gritty: Demonstrate passion and perseverance for long-term goals, since persistence drives achievement. Do whatever it takes to get the job done, whenever it is necessary. Empathetic: Treat others as you want to be treated, so we can work well together. Actively listen and put yourself in others’ shoes, and then respond accordingly. Remarkable: Be recognized as exceptional yet humble, because talent drives impact. Seek out those who are exceptional and learn from them. Although we have remarkable benefits at Grammarly – yoga, catered lunch, and more – we feel like the most important aspect of our work environment and culture is each other. Mohit: I'm sure you're aware that some websites have performed tests on Grammarly to check its accuracy. Some have found promising results (like me) but some (mostly rivals) have not. What is your opinion of such usage tests performed by individuals and rival firms on Grammarly? Allie: We’re pleased you’ve found our product promising. The fact is that Grammarly’s ever-evolving algorithms work to accurately catch English spelling and grammar mistakes based on deviations from baseline grammar standards. For each potential issue flagged by Grammarly’s algorithms, users receive a detailed explanation so they can make an informed decision about how, and whether, to correct the mistake. While Grammarly’s algorithms are very powerful and constantly improving, they are not a replacement for a teacher or proofreader. Grammarly is an automated, cost-effective, and always-available tool to improve users’ English writing and skills. Mohit: You have a thriving Facebook community, which provides a platform for grammar discussions. With more than 4.5 million fans at facebook and nearing 2 million at Google plus, describe the challenges faced by your social media team in increasing and maintaining fans. Allie: We actually don’t emphasize growing our social media fan base. It has been a fun thing for the team to watch, but it was never a sign of our success. Instead, Grammarly emphasizes engagement rates and reach. This has been the greatest challenge—to test, optimize, and adjust to make both our fans happy and the social algorithms. We’re just getting to know our audiences and responding. It’s just a conversation. Sometimes we say something wrong, but it informs how we say things moving forward. Mohit: Cloud-based processing is often an advantage when you have exceedingly large algorithms to process the users' input. But this system often takes a hit in countries with no reliable internet connection. How do you propose to solve this? Allie: Interestingly, some people who do have reliable access to the Internet are not able to make use of certain cloud-based tools for monetary reasons. That’s the first problem that the Grammarly team is tackling. Grammarly believes that quality writing improves confidence and credibility, and we know that everyone should have access to these personal and professional tools, regardless of income. Through the launch of Grammarly’s Chrome extension, we’re now offering our quality spelling- and grammar-checking tool for free to users of Google Chrome. We hope to extend this functionality in 2015 to other browsers so that any writer with a reliable Internet connection can improve their credibility and communication style. Here we conclude this interview. Allie, I would like to thank you for taking time out of your schedule to help us understand the nitty-gritty of a service-based business and introducing us to Grammarly, which quite simply is an exceptional piece of work. Our readers can pitch questions to Allie through the comment section and I'll make sure the questions reach Allie. You know we have our share of interviews with really successful entrepreneurs like the one we've discussed here. For example, you should read about one of my local we designers, i.e. Jetbro from The Den. Just like Alex and Max, we also have the geniuses at Degoo.com and at RescueTime who have developed a service of similar standards.